Perched on the headland overlooking the crystal waters of the Andaman Sea. Pullman Phuket Arcadia Naithon Beach is the most stunning Phuket Resort for a tranquil escape. This luxury, 5 star Phuket Resort boasts a charming setting with ocean views. Set against the backdrop of Naithon Beach. Blurring the lines between the pool, sea and sky. Guests have direct access to Naithon Beach. Named one of the best beaches on the west coast of Phuket. Where you can soak up the sun, sea and sand in your own oasis. 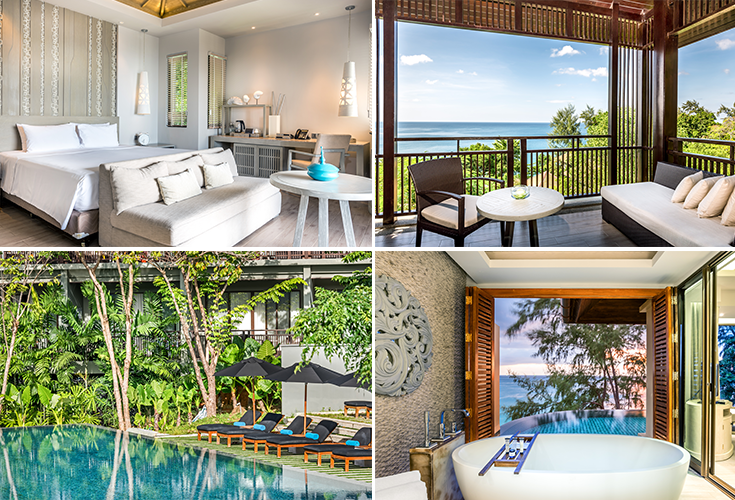 Just a 12 minute drive from the Airport, your vacation starts sooner and lasts longer at this Phuket Resort. Renowned for its elevated position and peaceful surroundings, this Phuket Resort brings the perfect balance of nature and five star luxuries. Pullman is the resort of choice to enjoy a serene stay in Phuket. With its modern design, the Pullman Phuket brings a cosmopolitan sensibility to a seaside setting, where guests can “check in and chill out”. 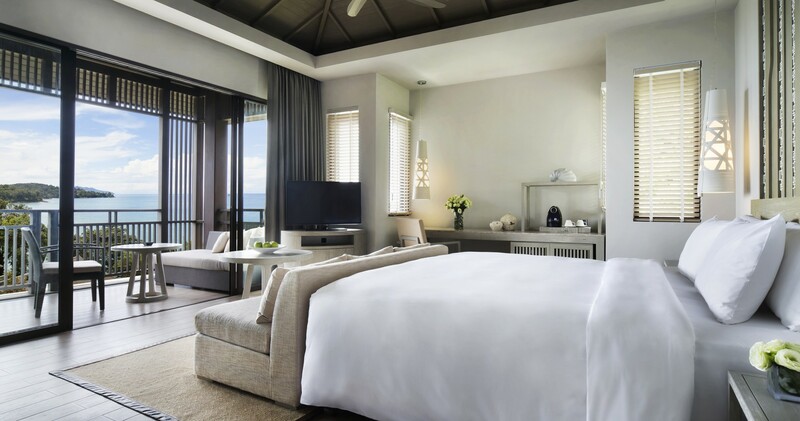 The resorts 277 rooms and pool villas offer beach chic design and neutral hues to enhance the natural backdrop. Each room is complete with a balcony and day bed. So you wake up to a gentle sea breeze each morning. This Phuket Resort also features pool villas with private infinity pool. An ocean vista enjoyed from any angle. Your own pool villa in Phuket, is the ideal place to relax. Lounge by one of two pools with a cocktail in hand. Retreat to the award-winning Spa for a little peace and pampering. Unwind with a rose petal milk bath. Or try a traditional Thai massage. Sip & savour in style with a choice of 3 bars, 2 restaurants and a deli offering a fine fusion of Thai and Western cuisine. And watch the spectacular Phuket sunsets from the designer sunken lounges at C Bar. Stay active while at this Phuket Resort with a 24-hour Fit Lounge and yoga deck. And for the more adventurous, you can try a range of water activities like a snorkeling tour and scuba diving. A sunset long-tail boat ride or beach walks. A free Kids’ Club. Connectivity Lounge and Wi-Fi makes Pullman Phuket resort the perfect place to retreat. No matter if you are on business, seeking relaxation or on your honeymoon. This tropical paradise is your playground. Find the ideal space to meet your business goals. This Phuket Resort features 5 meeting rooms. As well as a range of fresh open air spaces to spark creativity. 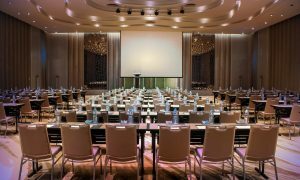 From a corporate retreat, board meeting to a gala dinner, inspire your team for peak performance with an event at Pullman Phuket. Your wedding dreams come true at this Phuket Resort. Inspiring sceneries are packaged with personalised service, to give you a flawless wedding in Phuket. Leave the hassles of wedding planning at home. The Italian Trattoria and Wine Bar offers an array of specialty dishes from various provinces of Italy. The signature restaurant at this Phuket Resort allows you to sample fine Italian cuisine and spectacular sea views. Open daily for dinner and the first Sunday of the month for brunch. 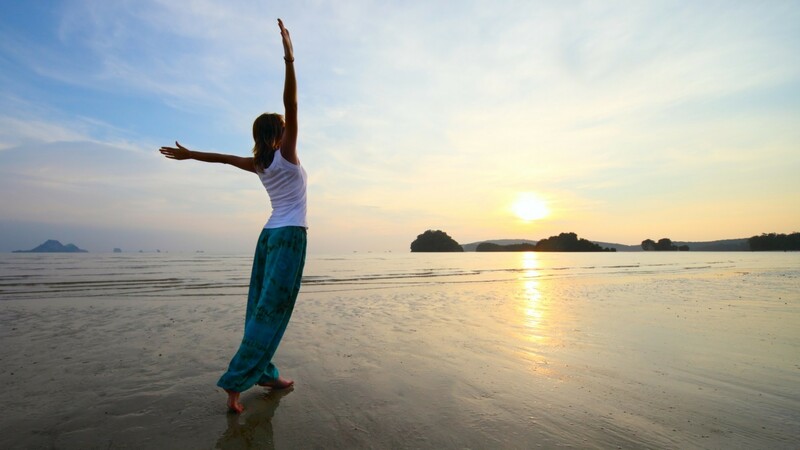 Renew your mind, body & soul at Dhatri Spa. From a massage to milk bath, you will leave Phuket feeling rejuvenated and well rested after a spa treatment. The best way to experience a new culture is through their food. Excite your taste buds with a Thai Cooking Class in the HERB Garden. Master the perfect balance of sour, sweet, salty and spicy. A treat for all the senses. When the night is a special as the day. Enjoy a range of nightly events during a stay at this Phuket Resort. Watch the stars under the stars with a movie night by the Float pool. Experience the local culture with a Thai street food market, BBQ’s and much more. Work hard, play harder at this vibrant Phuket Resort. Book on our website, to get access to the best rates for Pullman Phuket Arcadia Naithon Beach Resort. Also, Le Club AccorHotels Members get more benefits throughout their stay. When they book on our website. The best welcome we have received at any hotel which continued on for our 10 nights right up to our farewells. Peacefull location but a little far away from the hub of Phuket.